Earlier this year I came up with a new mindfulness practice: bumper stickers! OK, let me explain. I like finding new and inventive ways to cultivate daily mindfulness. Being mindful means being mindful of something. And that something can be anything! Anything that allows us the opportunity to practice getting in touch and connecting with the present moment can be considered a practice of mindfulness. And it’s fun to find new ways in which to practice. We write to you today to support you to support a ban on fracking–hydraulic fracturing –in California, and to support you in your commitment to address climate change, as you stated in your inaugural: we need to take “significant amounts of carbon out of our economy.” As a Fourfold Community (monks, nuns, laymen and laywomen) in the Plum Village Tradition of Zen Master Thich Nhat Hanh, we practice mindfulness to nurture understanding and love. Our tradition’s teachings are ecologically founded – we are not here on our own, we interare with everyone and everything. It is from this awareness that we write to you today. The deep and devastating impact of hydraulic fracking on humans, many species, and the water of our planet is now known. It is also known that with strong political will it is possible to move a fossil fuel economy towards an economy increasingly based on renewable energy. We have seen in New York State that with a combination of strong political will and clear awareness of the devastatingly destructive nature of hydraulic fracturing, it is possible to ban fracking. We can do this in California as well. Today, we join with our sisters and brothers at San Francisco Zen Center in supporting you to sign a bill banning fracking. Help turn us away from the age of fossil fuels with its immeasurable and lasting damage to the biosphere. Help California continue to take the lead, as it has in the past, with its extraordinary implementation of energy-efficiency standards during your first term as governor, with Assemblywoman Fran Pavley’s emissions legislation in 2002 that set nationwide standards under the Obama administration, and with the California Global Warming Solutions Act of 2006. We know that our actions today help create what kind of future we will have. As Thich Nhat Hanh has said, “We have to live in such a way that a future will be possible for our children and our grandchildren, and our own life has to be our message.” At Deer Park, our practice center near San Diego, CA, we have taken a vow to do our best not to deplete the energy of the land and her resources, but rather to contribute to the regeneration of this beautiful land. Our solar energy system covers 90% of our usage of electricity. To take a next step to stop contributing to devastating climate change, and to protect the beautiful land of California, we support you in signing a bill to ban fracking in California. Such a ban will reduce the carbon going into the biosphere, thus reducing contribution to climate change from this source, and it will help protect the land, water, peoples, animals and plants of California, now and in the future. We support you to support this ban. Thank you. For the well-being of all life now and to come. 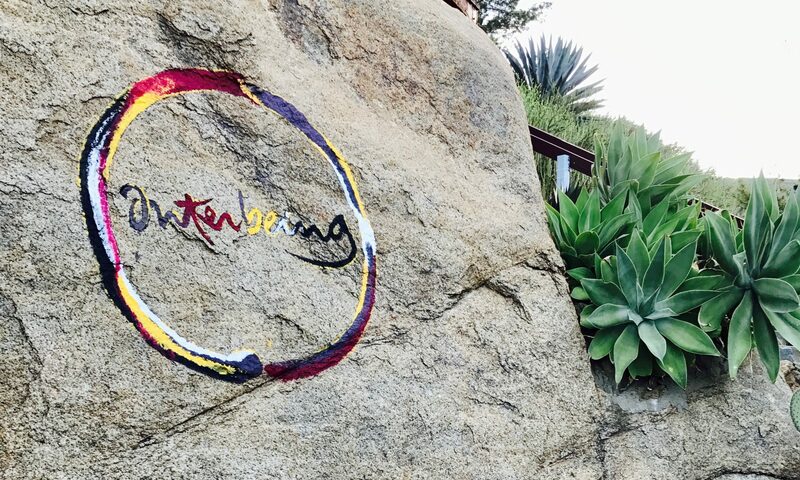 The following names are all Order of Interbeing members located in California.